The programme is focused on formation of experts – engineers for aerospace, research and development and air transport. The programme follows the bachelor programme, especially bachelor programmes of the Faculty of Mechanical Engineering (FME), Faculty of Transportation Sciences (FTS) and Faculty of Electrical Engineering (FEL) at the Czech Technical University in Prague. It regards mainly the subjects of Theoretical Fundamentals of Mechanical Engineering (FME), Energetics and Process Technology (FME), Computer Supported Construction (FME), Air Transport (FTS), Technology of Aircraft Maintenance (FTS) and Professional Pilot (FTS), Systems and Control (FEL), Sensors and Instrumentation (FEL) and Robotics (FEL). This study programme and its branches ensure compliance with the qualification requirements that have been in the field of aerospace newly created and unified for the EU and are enshrined in the regulations and recommendations issued by the Joint Aviation Authorities JAA, the European Aviation Safety Agency EASA, the European Space Agency ESA and other EU authorities. As the Czech Republic gained full membership in the European Space Agency, and have been introduced all norms of the European Aviation Safety Agency and of numerous other international aviation organizations (IATA, ICAO, EUROCONTROL, JAA, etc. ), the graduates have the opportunity to hold senior positions in management of civil aviation within the Czech Republic as well as in many other European countries. Aerospace is a demanding an interdisciplinary field that requires a thorough preparation of students of the previous, technically oriented bachelor's degree programmes. Basic knowledge acquired in bachelor's study programmes is significantly deepened in the follow-up master's degree programme, especially in theoretical, structural, technological, operational and technical, safety, economic and managerial subjects and disciplines. The programme is strongly project oriented which enables connection of studying with solving specific tasks and projects from practice and also contributes to the development of students' personal contacts with leading experts from the field. 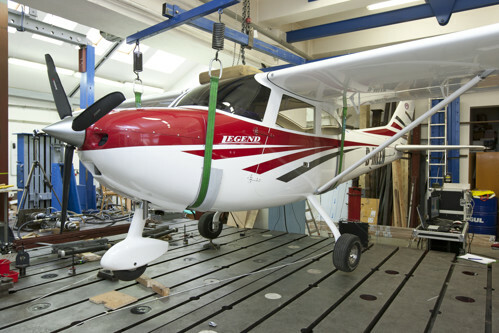 Basic curricula include subjects of aerospace fields of other two faculties of CTU in Prague. Students can focus their studies in a more expert way of and choose possible specialization in cooperation with the tutor who will help to choose suitable compulsory elective subjects, usually in connection with the semester projects and thesis. This programme focuses on formation of university educated professionals: aerospace engineers mainly for the aerospace industry, research and development, air transport, air operators and other aviation enterprises and institutions in the Czech Republic and the EU. Curriculum is conceived in relation to the previously completed Bachelor programme with technical focus. Students gain further theoretical knowledge of basic engineering disciplines of aircraft and space technology such as aerodynamics, flight mechanics, fundamentals of aerospace, engine theory, strength and durability of aircraft structures, avionics and electronics, aerospace materials, aircraft technology, etc. Students learn the principles and fundamentals of space technologies. The programme also includes subjects common for the general university programme, such as operation of aircraft technology, navigation and flight control systems, aircraft instrumentation systems, maintenance aircraft of technology, etc. These will provide students with a broader overview in the field of aerospace. The core of this field is then professionally and project oriented part of teaching that contains compulsory elective subjects, such as: reliability of aircraft technology, dynamic strength and lifetime, computer mechanics of fluid, mechanics of composite materials, aerodynamic aircraft design, experimental methods and testing of aircraft, and others. The field is thus directed to the construction and design of the aircraft and its systems, aircraft engines and space technology. In order to improve students' communication and team work skills the curricula also include subjects focused on language and managerial training. This part of the project oriented study is finished by writing the diploma thesis which students usually prepare in cooperation with business aviation experts. Education and training of students in that field of study is carried out in compliance with the approved standard or individual study plan. This new programme focuses on formation of university educated professionals: aerospace engineers mainly for the aerospace industry, research and development, air transport, air operators and other aviation enterprises and institutions in the Czech Republic and the EU. Curriculum is conceived in relation to the previously completed Bachelor programme with technical focus and gradually gets in compliance with qualification requirements newly created and unified for the members of the EU. The graduates get deeper knowledge in fundamental theoretical and engineering disciplines of aircraft and space technology such as aerodynamics, flight mechanics, fundamentals of astronautics, theory of engines, strength and lifetime of aircraft structures, aircraft materials, aircraft construction technology, reliability of aircraft technology, operation of aircraft technology, navigation and flight control systems, aircraft avionics and instrumentation systems, aircraft technology maintenance and others. Together with language training and courses in management and economics students are provided with a broad overview of the field of aerospace technology and they are well prepared for their future job. Project oriented system of the programme gives students valuable experience of working on specific and practical projects, team work and contact with important experts from the field.